Could Stiggy be the new Friar Tuck? So far, I’ve yet to see any more pictures of that Herrerosaurus figure. It’s red color makes me think it’s somewhat inspired by the design from JP:TG, but I’m not certain of that. Herrerasaurus picture? Where did you see that? I hope it has the Telltale design. The Telltale point and click adventure is not canon. So long as you recognise this, you’re free to wish for whatever you like. Actually, it’s PART canon. Colin Trevorrow said so himself. Get your facts straight. I know, does this mean it is going to be in the movie? Would be cool if it was. These look great! They have a feel of the old Kenner stuff but less rubber and more plastic in design. The t-rex that looks like it can eat other figures definitely piques my interest as do many of the dinosaurs. 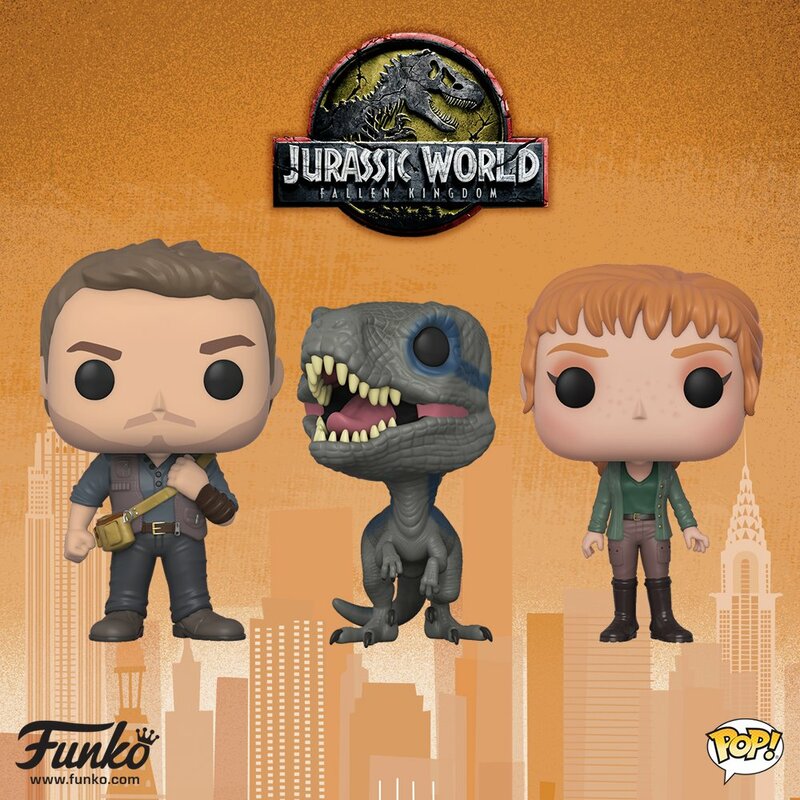 Despite this, I’m still most excited for JW Evolution when it comes to upcoming merchandise. I am going to be so poor this year. Big Rex is really the only thing worth getting here. Pictures aren’t detailed enough, will have to wait until they’re on store shelves to judge properly. Ha ha ha. Good one. But I could see the trailer plain as day… These pictures on the other hand were taken by a monkey by the looks of it. Most people don’t care how the picture was taken for stuff like this, you know. It’s just what’s in the picture. Besides, it’s not even that bad! So unless you’re a photographer, you shouldn’t even be complaining. That’s funny, I thought judging things based off the bare minimum amount of information was your speciality. You are aware of course, that you also made a judgement right? What, are you a toy critic or something? Sure, these look better than Hasbro, but DUDE. I know! It looks so cool! Hopefully it looks as cool on the big screen! RIP wallet, you will be missed dearly. I feel ya dude. These look AMAZING, I want all of them! MY DAY HAS BEEN MADE!!! I LOVE THIS SO FAR!!! Does anyone know how many much the Inforaptor is? They look even better in their boxes, (The baryonyx anyway, and the trike. annnnnd im broke lol but seriously i have not seen a line this promising since i was 9 for tlwjp its looking like mattel will continue where kenner RIP left off and not follow in hasbins footsteps. I agree with ya there! These look absolutely promising. I might be broke by the time the movie comes out! These new figures really are better than hasbro. Some may not be that good but definitely and improvement. They really do bring back that “Welcome to jurassic park feel”. Almost like kenner reincarnated. Would anyone happen to know when and where I could start pre ordering this stuff? When will the toys be released, anyone know the date? April 16 but i’m sure you’ve heard that already.